The custom promotional Marble Chocolate Biggles Bear will be loved by kids young and old. Biggles is a beautiful design. Gift giving has never been this adorable. Whether it’s for colleagues, friends or family, our branded Marble Chocolate Biggles Bear is a praline design like no other. If you need a gift for all ages, this cute little chocolate bear might just be the ideal gift you’re looking for. It’s great as a birthday gift, a special holiday gift, or even as a corporate gift. Give it a try, you never know what response you’ll receive. 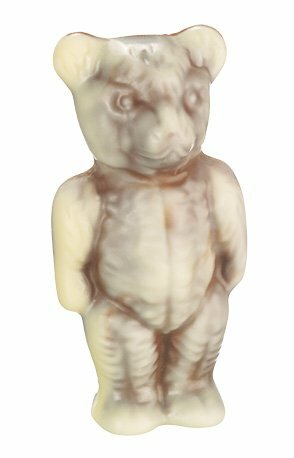 Our promotional Marble Chocolate Biggles Bear is created using milk chocolate and white chocolate of the finest quality. The two contrasting colours are blended together to create a nice marbled effect. Each tray consists of 42 pieces of pralines. Take note though, that a minimum order of 4 trays is required for this item. You may also opt to mix and match with our other praline flavours. Our custom Marble Chocolate Biggles Bear will surely compliment any of the flavours you choose, so feel free to explore our site to see more praline flavour options. For other gift options, we also have the promotional Dark Chocolate Coated Ginger, a unique take on the classic praline, bursting with a unique flavour profile that will excite your taste buds. We also have the custom Choc Beans Small Cube, it’s a chocolate treat packaged in a compact cube for easy storage. With treats ranging from salty to sweet, we have got you covered. We can also easily customize select products to suit your preferences. If you would like to speak to one of our friendly customer service representatives, you may call our hotline at 1300 008 300. 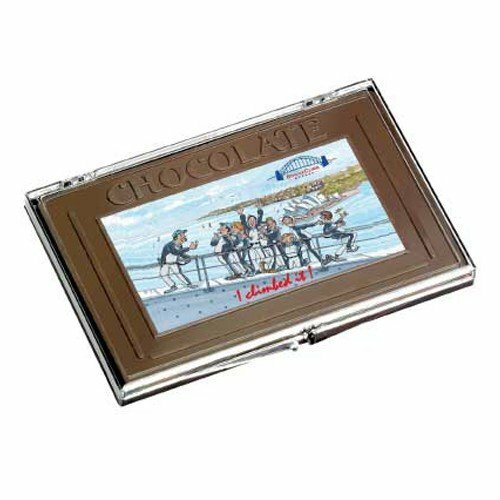 We also have a live chat right here on our website if you’d like to speak with one of our agents regarding any of your chocolate requirements for your next important celebration. Let’s do it.